Got a couple of twenties to spare? You could be on your way to a lucrative new career as a programmer trained in a crucial general-purpose language. Get the Python Programming Bootcamp 2.0 for $39 at Escapist Deals. 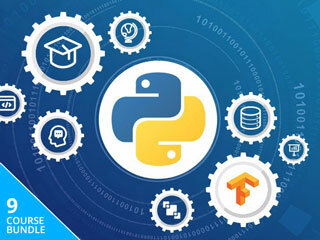 Grab this bundle and get instant lifetime access to nine courses in Python. You'll learn the fundamentals of the language before diving into hands-on training. Learn how to use Python to create Instagram-style filters. Create a smart security camera using Python and the webcam on your device. Use Python to present data. And write machine learning processes from scratch. By the end of your training, you'll have a new language under your belt, a portfolio of work, and skills that hiring managers love to see. Get the Python Programming Bootcamp 2.0 for $39 at Escapist Deals.